This article is about the character in The Poke of Zorro. For the book, see The Man in the Iron Mask. 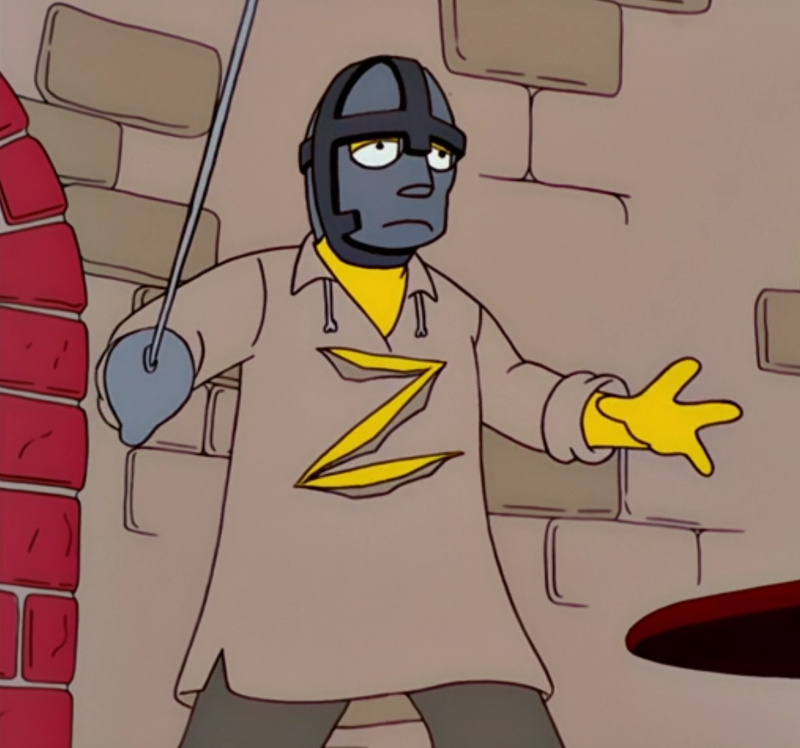 The Man in the Iron Mask is a hero and was played by Gina Gershon in The Poke of Zorro. After Zorro fenced with the Three Musketeers and kills them he starts to fence with the Man in the Iron Mask and tells the man that he will bring King Arthur back to the throne. Modified on December 17, 2012, at 02:42.